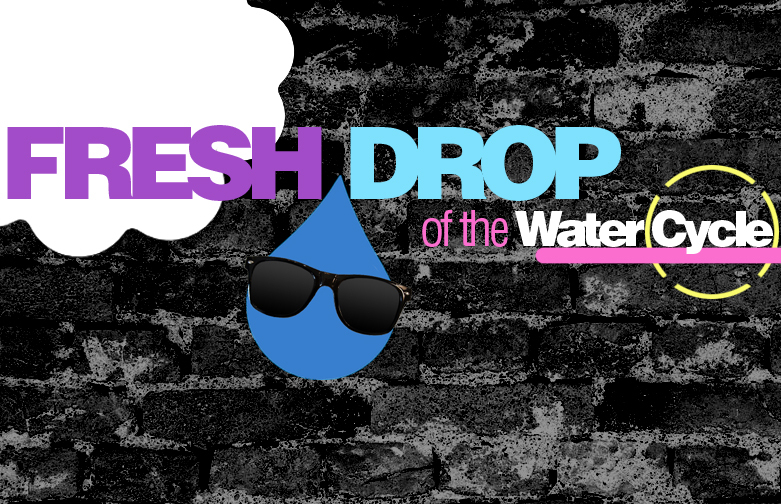 Water Cycle Rap that goes to the beat of Fresh Prince Of Bel-Air from Missy B! (I changed around a few of the lyrics). Click here for the original. Water to gas, this stage is called Evaporation! Vapor rises high, squeezes together to form a cloud, also known as Condensation! You can be sure there’s a chance of rain! Fog, rain, hail, snow flurries and sleet: Precipitations the word – Uh-oh, I got wet feet! It can Run Off to the river and back to the sea: Accumulation! Some of it gets taken right back as Evaporation, or comes out from plants and trees, aka Transpiration! The rest of the water infiltrates in the soil, as long as there’s no impermeable surface to spoil!